Dr. Paula Shireman is working to fill the knowledge gap when it comes to vascular injuries suffered by service members. Vascular injuries and extensive damage to the body’s network of blood vessels are increasingly common among veterans returning from deployment. In spite of their prevalence, however, the long-term effects of these injuries are not well understood. Dr. Paula Shireman, professor at UT Health San Antonio in the Department of Surgery and staff surgeon at the South Texas Veterans Health Care System, is wrapping up a research project that aims to fill that knowledge gap. Shireman’s work takes the Department of Defense Trauma Registry, a registry that contains trauma care records of service members deployed in Iraq and Afghanistan, and attempts to match them with records from the U.S. Department of Veterans Affairs, which cares for veterans once they have separated from the military. The project stems from Shireman’s work with Air Force vascular surgeon Col. Todd Rasmussen in San Antonio. 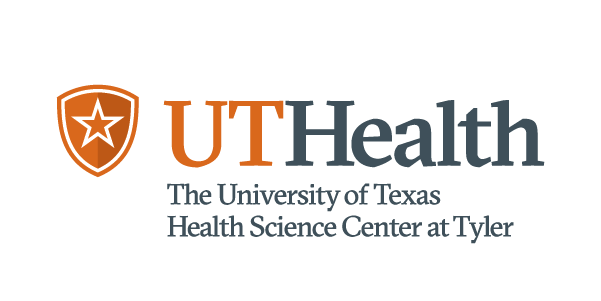 Collaboration between UT Health San Antonio and military branches or the VA is common. Service members deployed to Iraq and Afghanistan face threats that are distinct from those faced by veterans of previous wars, in particular the risk of being injured by an improvised explosive device (IED). IED blasts not only lead to traumatic brain injuries, they can do tremendous damage to limbs. In many cases the IED blast leads to loss of or injury to multiple extremities. The good news is that survival rates from casualties in Iraq and Afghanistan are high. The challenge, Shireman said, becomes one of managing injuries that are severe and complex. For Shireman and her team, reading through the operation reports coming out of Iraq and Afghanistan was jarring. “It’s shocking how much damage the human body can take and still come out alive,” she said. Many of the injuries are vascular, affecting blood vessels and, in turn, blood flow. But these injuries are notoriously difficult to treat and diagnose, and many veterans don’t even know that they have suffered one. Notes from the initial trauma care are often spotty, because surgeons’ main efforts are focused on treating injuries and saving lives. Part of Shireman’s work is filling in that record. For example, she is trying to determine, from existing notes, exactly which arteries were damaged. The project thus far covers 527 patients. “We have variable data on each one and on some it’s hard to localize the injuries they had,” Shireman said. This can be compounded by lack of follow-up care in the VA. This is a problem for civilian care as well. There is little existing work regarding best practices for treating vascular injuries, particular in terms of long-term care and outcomes. In civilian trauma centers, there are relatively few extremity and blood vessel injuries, and follow-up evaluations on those cases are spotty. Trauma patients are hard to track, Shireman said. In some cases, veterans are insured, but they are on employer insurance and the VA system does not have their records. By providing a much-needed link between the records that do exist, Shireman and the VA/UT Health San Antonio researchers are hoping to lay the foundation for better short- and long-term care.